Point Of Sale Systems In South Africa vary in functionality and price.If you own a small to medium sized business the Posiflex range are very stable and well priced. In particular The Posiflex PS-3315E Comes to mind when price and ease of use is required. Why We Recommend The Posiflex PS-3315E? Its fanless touch feature means less downtime. The Posiflex PS-3315E is streamlined with a foldable base. The screen and height can be adjusted to match your application. The terminal is supplied with a full set of ports on the top and bottom meaning your cabling will be neat and reliable. Built in wifi dongle is provided. The system is compatible with Windows 7/POSReady 7/Windows Embedded 8.1 Industry/Windows 10 IoT/Linux which must be requested when purchasing your unit. Posiflex is represented and well maintained in South Africa. Posiflex also offer self serve Kiosks,Integrated point of sale systems which can be customized to suit your requirements. Point Of Sale Systems In South Africa are often Posiflex in origin. Posiflex keyboards can be programmed. 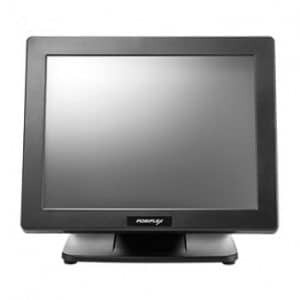 LCD Displays are offered with touch capacity. Posiflex barcode scanners lead the world market when it comes to reliability and cost. If you require a complete one stop turnkey point of sale solution then Posiflex is your best bet. ACUMEN TECHNOLOGIES REPRESENTS POSIFLEX IN SOUTH AFRICA.